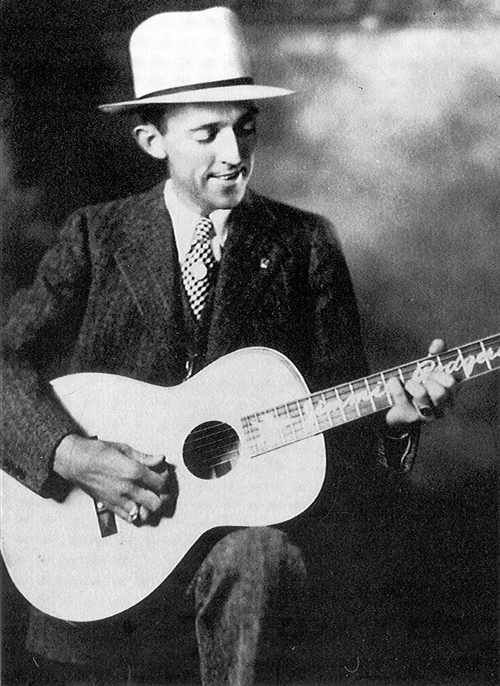 The most inspiring type of entertainer for me has always been somebody like Jimmie Rodgers, somebody who could do it alone and was totally original. He was combining elements of blues and hillbilly sounds before anyone else had thought of it. He recorded at the same time as Blind Willie McTell but he wasn’t just another white boy singing black. That was his great genius and he was there first… he sang in a plaintive voice and style and he’s outlasted them all. He was a performer of force without precedent with a sound as lonesome and mystical as it was dynamic. He gives hope to the vanquished and humility to the mighty. He is the voice of wilderness in our heads. 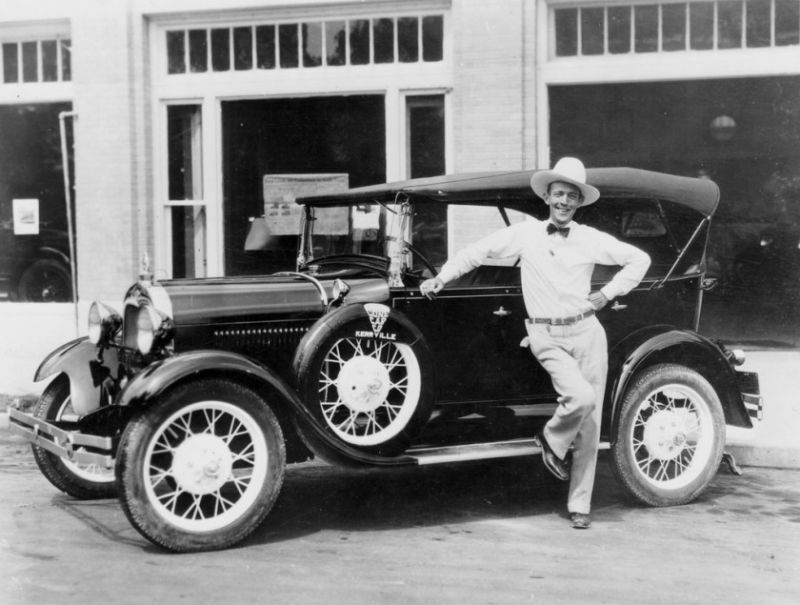 James Charles “Jimmie” Rodgers (September 8, 1897 – May 26, 1933) was an American country singer in the early 20th century known most widely for his rhythmic yodeling. Among the first country music superstars and pioneers, Rodgers was also known as “The Singing Brakeman”, “The Blue Yodeler”, and “The Father of Country Music”.